You are here: Virgin Islands News Online » News » It’s the season! 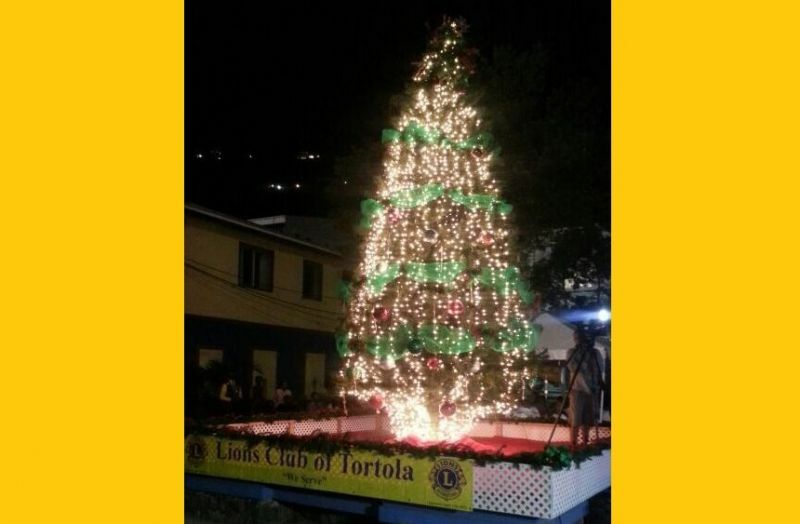 2015 Christmas tree lit in Road Town! Several residents, a handful of politicians, and religious personnel gathered at the Sir Olva Georges Plaza last evening to ring in the Christmas season at the 36th annual lighting of the Christmas tree. While the average resident in this British Overseas Territory is “catching hell,” according to the man on the street, and cannot afford much for Christmas, the event signals the official start of the Christmas season here. 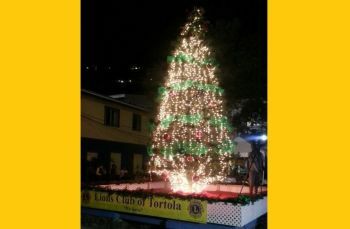 The lighting of the Christmas tree, which was postponed from Saturday November 28, 2015 to Monday November 30, 2015 because of inclement weather, is hosted by the Lions and Leo Clubs of Tortola in collaboration with the BVI Christian Council. 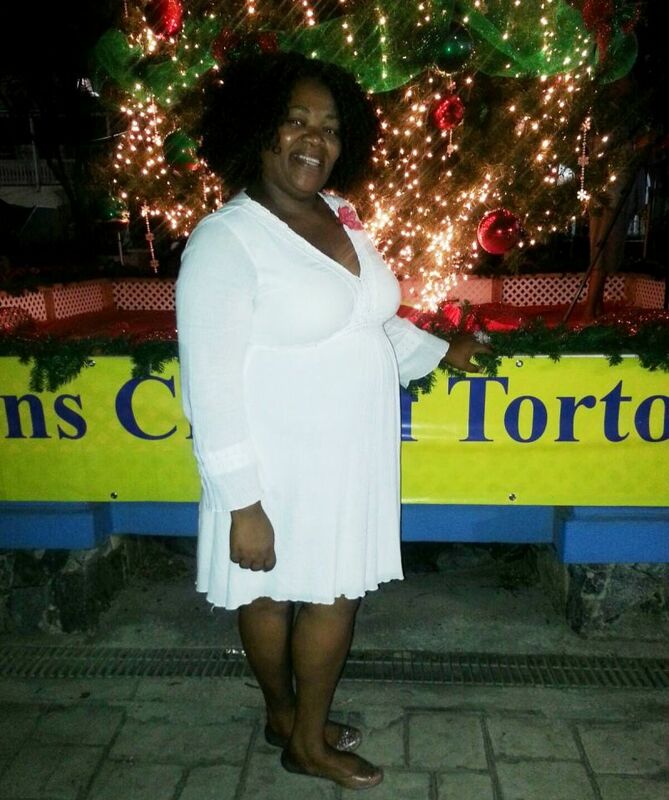 Lady Minister Dorilyn Edwards gave the reflections on the purpose of the season and asked wives to forgive their husbands and others on Christmas. Hon Mark H. Vanterpool, Minister for Communications and Works and Fourth District Representative, spoke at the event and called on residents to remember those who are in need, especially those persons around the world who are suffering during this time. The turnout was small and the event had lots of entertainment and gospel singing that centered on a Christmas theme. What's the matter, you just gave birth to the Devil's child. A smart and fortunate couple making an amazing commitment to the future. Mind your dam business. Where the hell were you? Please go hide under some galvanize ur malicious @$$. What about telling hims not to commit adultery. Is there a statute of limitation? Excellent performance Tracia. It was the first I heard her perform but I must admit that she was awesome. What a voice! Same old tired looking Christmas Tree every year. Please let us see improvement next year.